Place the minced beef and chopped onion in a large non stick pan and fry over a medium heat until the minced beef is browned and the onion is soft. Add all the other ingredients apart from the cheese , mix well, bring to the boil then reduce the heat and simmer for about 20-30 minutes until the rice is cooked and the liquid has absorbed (only stir very occasionally so the rice doesn't break up.) Once this stage is reached taste to see if needs more salt or pepper. 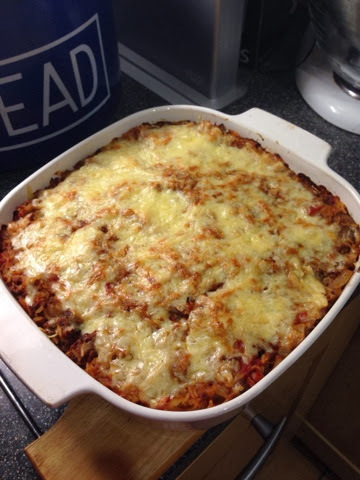 Put the mixture into a large ovenproof casserole dish and sprinkle over the grated cheese and bake at gas 6 / 200/400 until cheese has melted and the top is browned. Hi Vicki, I've been getting your post via email for a while now and I've set up a group on facebook for Slimming World Stitchers, am I go to link to your lovely recipes. Hi Vicki, does this recipe freeze and reheat ok after being cooked? I work shifts and am looking for meals that i can warm in the micro prefering homemade to calorie empty ready meals. Looks lovely. Will try it this week. Looks amazing, can I just say that reheating cooked rice is not really advisory - Food poisoning is more high risk in reheated rice because of a spore known as bacillus cereus is not killed during the reheating process of rice. Just advisin! Yum yum use a can of baked beans instead if you dont want rice and after watching the tv prog on rice it makes you wonder !! Having for our dinner tonight... Smells gorgeous! There was enough mix leftover to make into a type of enchilada type thing for tea tonight too. I put the mix in wraps, covered in passata, chilli and garlic and baked in the oven for 45 minutes. Serving it with salad and chunky chips. I can officially say it tasted even nicer today! How long do you put it in the oven for please? This sounds tasty. How many does this serve? Surely 4oz. Cheese would be more than your healthy a choice even if this served 6 people and would then be a lot of Sun's? all this about the rice and yet you can buy bags of microwave rice already cooked, ready to reheat and meals with rice in them ready to reheat. perhaps I will just change it to pasta. makes you think doesn't it. 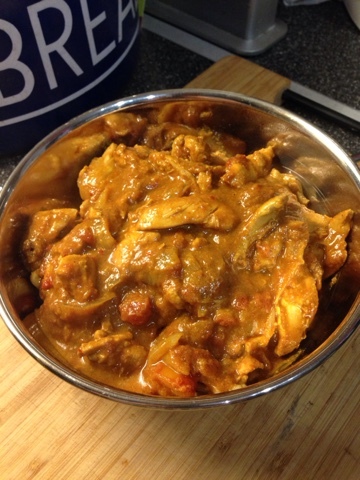 I absolutely love this recipe, we make it about every week it's that tasty. Thanks so much! I enjoyed it so much I am cooking it again tonight! It does freeze well for anyone wondering and I suffered no side effects from.the rice! I know many people have frozen this with success. My lot never leave enough!! I was wondering have you ever tried this in a slow cooker? Did you ever get around to trying it in the slow cooker? Hi Vicki, how many does this recipe serve? Hi Vicki, this looks amazing and the site is amazing too! have you tried using orzo pasta instead of rice? hiya Vickie , could I use passata instead of chopped tomatoes ? Do you use cooked or raw rice? Really nice. Did it this evening and everyone really enjoyed it ! many thanks for the recipe ... could i use cous cous instead of rice? Made this tonight , delicious! 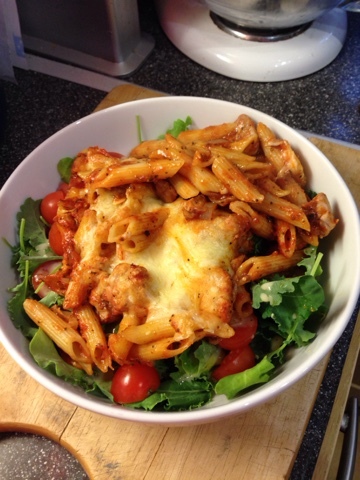 Love this recipe....one of my favourite slimming world friendly dishes! Making this now as we speak smells delicous so far, we've never had a problem reheating rice soI'm going to freeze whats left for my work meals next week. Tried this last night for the first time. I tweaked it a bit by adding kidney beans and spinach plus a little tomato puree. It was delicious and even my fussy-eater-I-don't-like-SW-recipes husband said it was nice. Thank you. Your content is very useful. I like it most. Thank you for sharing. It is very good. I like your site very much.